Emma is a native of Omaha who graduated from Omaha Burke High School. She received her Bachelor’s degree from the University of Nebraska at Kearney and then received her Master’s of Physician Assistant degree at the University of Nebraska Medical Center, with honors. 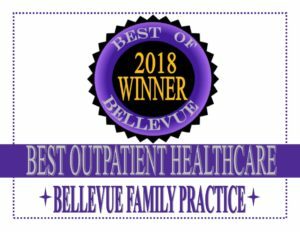 She has worked at Bellevue Family Practice since January, 2013 and has also worked in the urgent care setting. She enjoys women’s healthcare and has received certification in Advanced Bioidentical Hormone Replacement Therapy for men and women. She is married to her husband, Sebastian, who is currently going back to school for his nurse anesthetist degree. They welcomed their first child, a son Henry, to their family in 2018. This new family of three enjoy outdoor activities, traveling and taking their two dogs on long walks.